When you go see a movie in the Marvel Cinematic Universe there are a few things you can count on. You know you’ll see classic superheroes and great action. You know it will be full of easter eggs and reference to other Marvel movies. You also know that you’ll see Stan Lee, a man responsible for so many of those Marvel heroes, appear on screen at some point. However, it’s now been confirmed that when Lee makes an appearance in Avengers: Endgame in a couple weeks, it will be his last appearance in the MCU. Of course, Joe Russo’s comments to Mashable are likely specifically designed to leave the door open for other ways for Stan Lee to “appear” in future films. We could still see easter eggs that reference Lee in future Marvel films. Just because the man himself cannot film new material, doesn’t mean the MCU is going to forget Stan Lee. 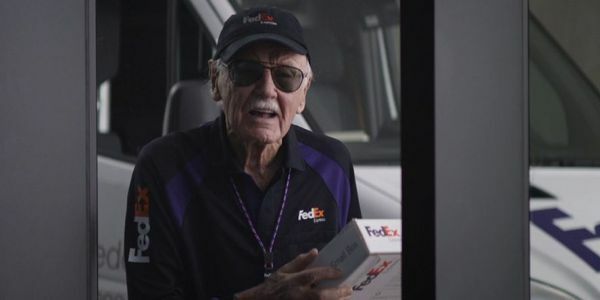 Honestly, it feels somewhat fitting that Stan Lee’s final appearance will be in Avengers: Endgame. The movie is likely to be the end of a lot of things in the MCU. We expect characters to leave the story already, so Lee ending his cameo run here makes sense. Clearly, nobody knew he wouldn’t be able to film any more scenes when his Endgame cameo was filmed, but if there were ever plans to wrap up the streak of appearances, Endgame certainly would have been the place to do it. Captain Marvel, the first MCU movie to hit theaters after Lee’s death, included a great tribute to the man, replacing every image in the Marvel Studios graphic with a different Lee cameo. It also had one of his funniest cameo moments of the entire run, with a hilarious reference to Kevin Smith’s 90s comedy Mallrats, in which Lee also appeared. It will be a tall order for Endgame to out do Captain Marvel, but you can’t help but think that for a movie as big as Endgame, even Stan Lee’s cameo was designed to be something epic. We’re expecting to say goodbye to some of our favorite characters by the time Avengers: Endgame is over. It seems w’ll also be saying goodbye to Stan Lee. If you were planning to bring tissues, maybe pack a couple extra.